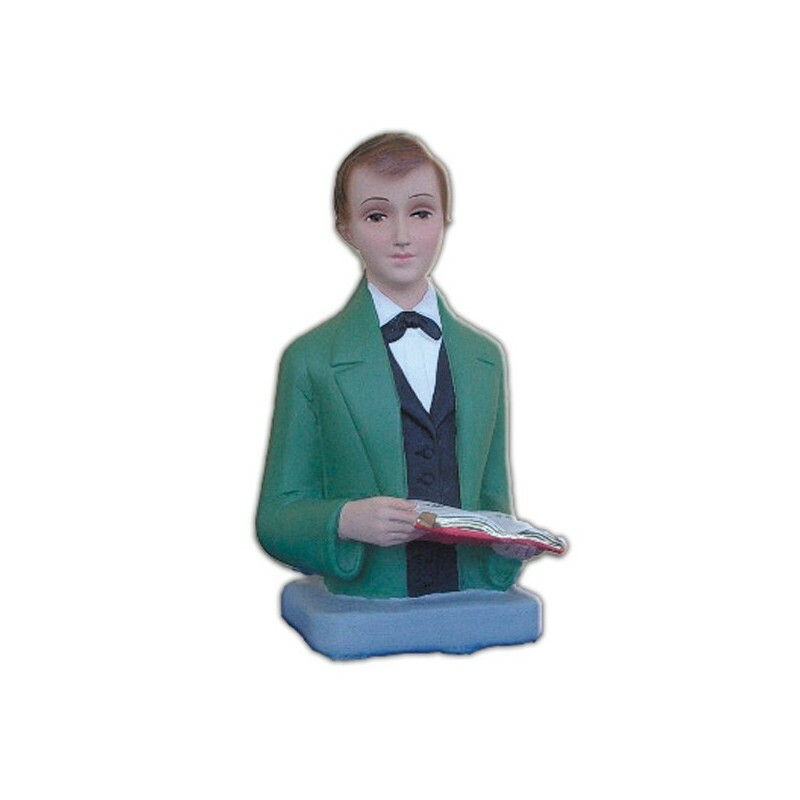 Statue of Saint Dominic Savio Half Chest of 20 cm. 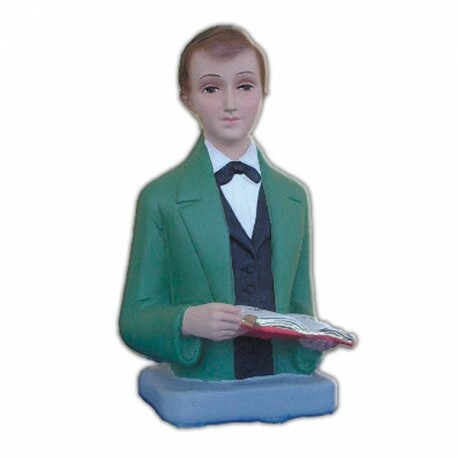 Saint Dominic Savio is commemorated on the 9th of March. He lived between 1842 and 1857. He was born on the 2 of April 1842 in Chieri, a little village in Piemonte. He was novice of Saint John Bosco, who wrote his memories. Until he was a child he promised to live in an absolute christianity. He died on the 9th of March 1857 in Castelnuovo. He is the most young non-martyr saint in the history of the Church. He founded in 1856 the Sodality of Mary the Immaculate. He was canonized in 1954.